Bentonite are usually found in deep geographical areas. They are produced from rock, fossils, weathering of volcanic ash and disposal of high-level of radioactive waste in many countries. Bentonite mainly consist of clay mineral such as montmorillinite and kaolinite. They mainly exist in cationic form of organic compounds such as aromatic or aliphatic hydrocarbon and are employed to modify high cations exchange capacity, higher structural integrity, thermal conductivity, high chemical buffering capacity, and stiffness. Bentonite is a layer of natural silicate clay mineral having numerous properties such as large specific surface area, great absorption and interlayer exchangeable cation. Bentonite consists of outstanding physico-chemical properties which make it applicable in the areas such as water treatment, medical, groundwater barrier, farming, and construction. They are well known to be one of the most versatile and inexpensive treatments. 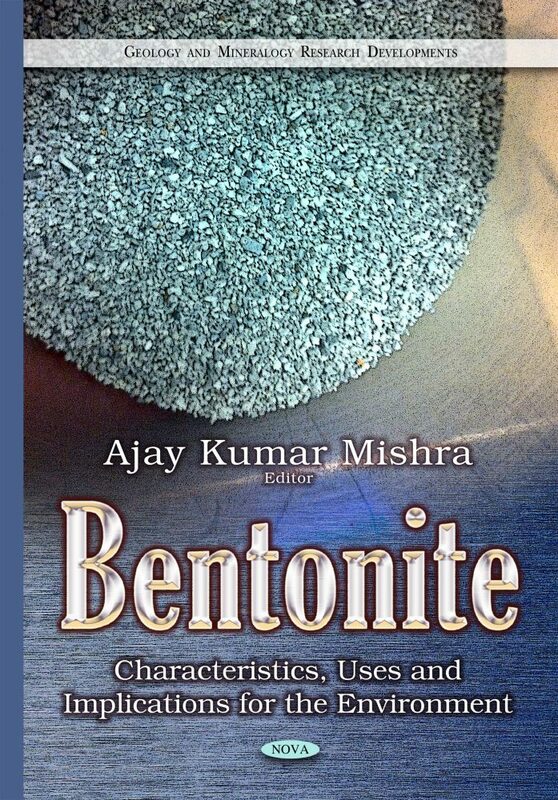 The current book describes the bentonite characteristic, uses and implications for the environment in many areas of environmental science in particular, such as remediation, clean energy, water research and waste management. Researchers working in the area will benefit from the fundamental concepts and advanced approaches described in the book. The book is going to also be beneficial to researchers who are working for their graduate and postgraduate degrees in the area of science and technology.